A cooling, refining and deep-cleaning Kaolin and Bentonite clay masque that can purify, absorb excess surface oil and help prevent breakouts. Contains no artificial fragrance or color. Apply a smooth layer to cleansed face and throat (avoiding the eye area) 3 times per week. May also be used exclusively on the T-zone. Leave on for 10 minutes, then rinse thoroughly with warm water. Follow with Skin Purifying Wipes, Oil Control Lotion and prescribed MediBac Clearing regimen. It can address and control the four main factors that contribute to acne: overactive sebaceous glands, cell accumulation, bacteria, and inflammation. Bentonite and Kaolin clays help absorb excess oil, refine pores and clear congestion. Cinnamon Bark helps to eliminate bacteria and reduce comedones for clearer skin. Oat and Licorice can soothe irritation brought on by breakouts. 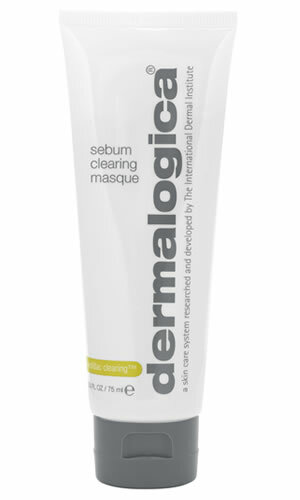 Salicylic Acid: helps to stimulate natural exfoliation, helping to clear impacted follicles and minimize acne formation. Bentonite and Kaolin: clays that help absorb excess oil, refine pores and clear congestion. Spiraea Ulmaria: an extract that helps inhibit bacteria by stimulating the skin's natural anti-bacterial agents. Niacinamide, Yeast Extract, Aesculus Hippocastanum (Horse Chestnut) Seed, Dipotassium Glycyrrhizate (Licorice) and Panthenol (Pro-Vitamin B5): a unique blend that regulates sebum production and soothes inflammation. Zinc Gluconate and Caffeine: help regulate sebum production and help control bacterial metabolism of sebum reducing inflammation. Cinnamomum Zeylanicum Bark: a patent-pending Cinnamon Bark blend that helps inhibit bacterial lipid metabolism and degradation of enzymes while eliminating bacteria, providing astringent properties and helping to reduce comedones for clearer skin. Avena Sativa (Oat) Kernel, Bisabolol and Dipotassium Glycyrrhizate (Licorice): help soothe irritated skin. An overnight treatment that helps clear skin, calm inflammation and prevent future breakouts by reducing excess sebum, removing impaction plugs and helping to eliminate bacteria.